School year schedules and routines provide us with great opportunities to create foundational habits in our children. But what happens when summer rolls around? Schedules become much looser, therefore less routine is needed and habits begin to fall by the wayside. How are we supposed to get through the summer without losing everything we have built with our child during the school year? My hope is to help you conquer the summer with some healthy habits and tips we have put into practice. Getting back to summers, just because school is out and there’s not quite as much to do, doesn’t mean good habits should go out the window. So what does it look like to maintain those good habits over the summer months? How much TV do we allow? Does it start first thing in the morning? How many minutes should they read? How much playtime together is expected? Should they review math over the summer? How long should they play outside? (applies only if you don’t live in the desert). 1. Expectations. Setting up expectations for your children is probably the most important thing. My girlies do so much better when they know what to expect. It’s one way for us as parents to help them succeed. First though, you’ll have to establish what priorities and habits you want to lay down for the summer months for your family. Remember every family looks differently so adapt to what activities and habits you want to build and instill into your sweet kiddos. 3. Follow through. Don’t lose heart, it might take some time to build those habits but with continued encouragement and dare I say, even a reward system, you can create some great habits. Don’t forget, habits also lend a hand in creating character in our sweet littles so keep pressing on! 4. Grace. As with everything in life, when something is being taught, there needs to be room for growth. And with growth come mistakes. So, give your kiddos some grace as you are establishing the habits you want to cultivate over the summer months. One of our points of grace is that Saturday and Sunday they get a break from summer rules. Now this doesn’t mean they don’t have to do their normal chores such as making bed and cleaning up after themselves, it just means they don’t have to check everything off their list for those days. Blessings as you continue to grow as a parent and find what works best with your sweet littles in this journey of parenting! Posted on July 19, 2017 by Amy Zurowski and filed under Building Your Family and tagged Organization kids. Both of my boys will talk to anyone who will listen. (Sometimes they even digress into a long-winded monologue we affectionately call “taking a hostage.”) They’ve never struggled with shyness a day in their lives. But my daughter, my sweet middle child, was ultra quiet and shy as a preschooler. To her, I could relate. Because I had a lot of empathy for my daughter, I was able to be more intentional in helping her manage her shyness, while at the same time loving her for who she is. Over the years, I’ve watched her blossom. She will probably never be the loud one in a crowd, but she’s developed a graceful confidence that I truly admire. She has been able to adapt to new situations and forge meaningful relationships with girls her age. I thought I’d share our journey and some of the things we did to help her get to this point, but of course I can’t take all (or even most...or even half!) of the credit. As with all things regarding our children, the battle and the victory is the Lord’s. Kids who have a supportive adult at home are already at an advantage in the battle they’re facing. The fact that you’ve read this far means you are caring and concerned, and they are blessed to have you! Every hug of reassurance you give and word of encouragement you whisper is going to pay dividends down the road. Keep them coming! Be a safe place for them to be who they are, and to share their feelings. That safe harbor will be an important place for them to retreat to when they fail or succeed in this process. 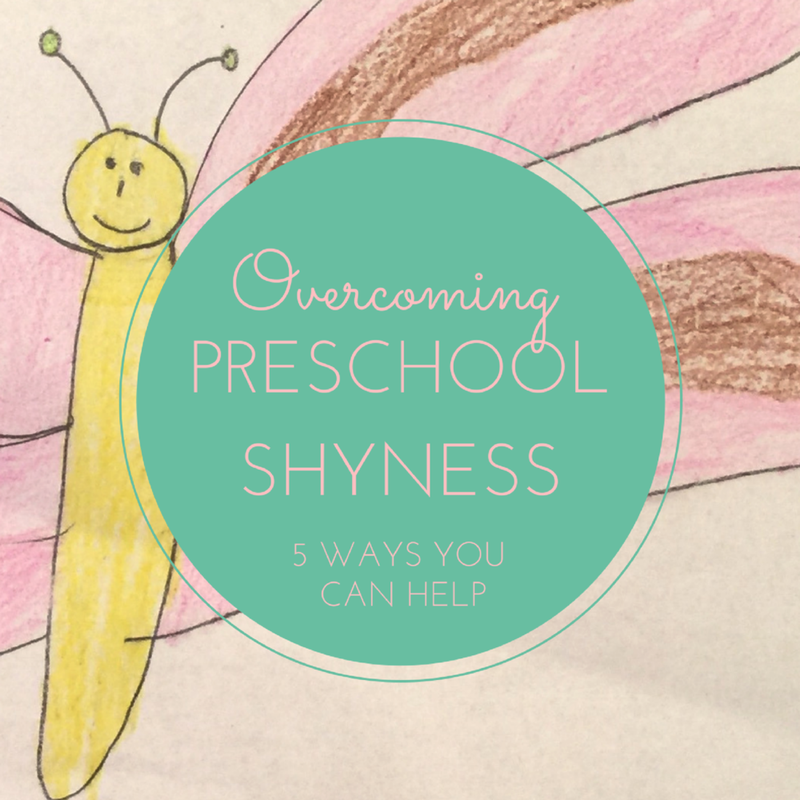 This was a critical key toward overcoming shyness with my preschooler. She and I would role play upcoming situations the night before to help her get practice talking to new people, introducing herself, asking a new student to play, etc. It was eye-opening for her when I reversed the roles and played the “shy” part. First, I would have her approach me and say, “Hi, I’m Jane. Do you want to play?” And then I would look down and away without responding. She could see herself and her natural inclination in my behavior, but she could also see how that response could be received as hurtful. We would talk about how it felt to talk to someone who wouldn’t talk back. I explained that if she’s shy, she might accidentally hurt someone’s feelings. Then we would try again. She would say, “Hi, I’m Jane. Do you want to play?” And I would say, “Yes! What do you want to play?” She could immediately see which response would lead to fun and friendship. After that, we would reverse roles. She practiced being herself and responding positively while I pretended to be new friends who approached her. Even to this day, as an 8-year-old, role playing comes in handy. The other day, I asked if she wanted to go in and pay for our Friday night pizza. She wanted to, but she was nervous. So we acted it out, just like we used to in preschool. I pretended to be the cashier while she practiced ordering and paying. When we drove up to the take-out place, she had some confidence to go along with her nerves. She successfully bought a pizza on her own and couldn’t be more proud when she walked out the door! This is just an extra little trick to go along with role playing. Sometimes it’s easier to see yourself and your behavior when you’re watching instead of practicing. So, we would film our little interactions on my iPhone every once in awhile and watch them. You could also easily act out scenarios with dolls or toys, and make your own mini movie. Bribe is probably the wrong word. Really, it’s a reward, and I am not above this as a mom. Within reason, I think it’s a perfectly acceptable practice. After all, your boss rewarded you with money to show up to work today. In the real world, you get paid for hard work, and for a preschooler, sucking it up and talking to new people or taking on new experiences is really hard work. Looking forward to the promise of a new toy or an ice cream afterwards can help them visualize success and persevere in a situation. 5. 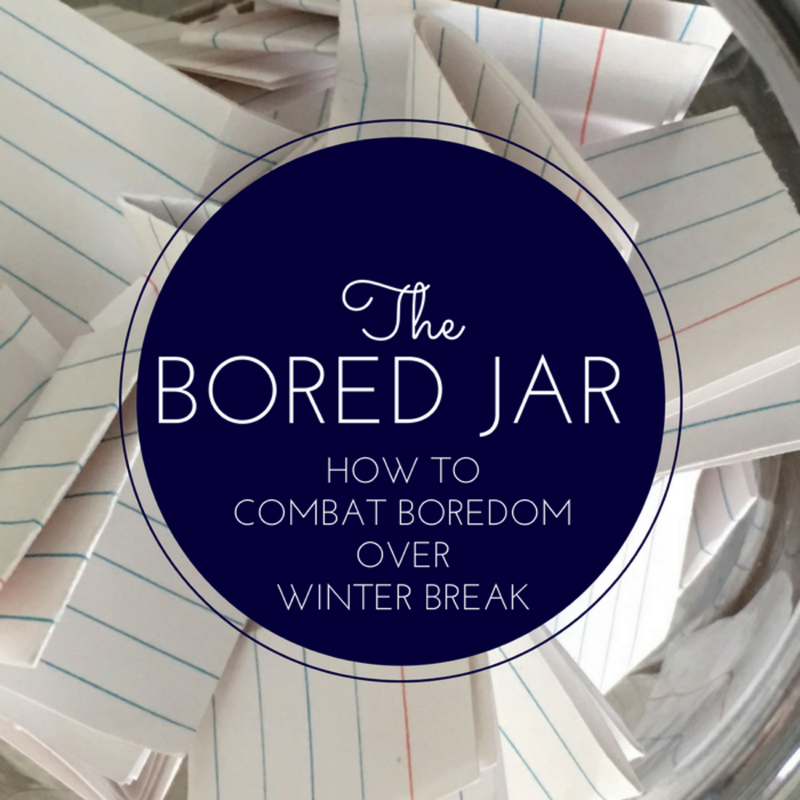 Encourage them — they can do this! Shyness is a choice, and so is being strong. In a loving way, we can affirm to our children that no one else gets to choose their attitudes. That is theirs alone to control. At the end of the day, we can’t force them to be brave. All we can do is patiently encourage, support them, and praise them when they have success. Remind your kids that they are strong and they can do this. Your words have a ton of power. The buck really stops here. It’s the most important thing you can do with and for your children. Before leaving for school, or before bed the night before, my daughter and I prayed together. There is so much peace for a child who knows that the weight of the world is not on their own shoulders. Yes, they are prepared. They have practiced. They are supported by their family. But when their parents can’t walk through the door with them, God can and He will. Pray his promises back to him—promises like Isaiah 41:10: “Fear not, for I am with you; be not dismayed, for I am your God; I will strengthen you, I will help you, I will uphold you with my righteous right hand.” You can even insert your child’s name in the verses as you show them these truths in the Bible. This is a wonderful opportunity to teach them that He will be their strength and their shield and defender, a lesson that will give them confidence now, and for the rest of their lives. Posted on June 7, 2017 by Laura Irion and filed under Building Your Family and tagged kids. I will be forever grateful for the opportunity I had to sit under Betsy’s teaching in Entrusted. 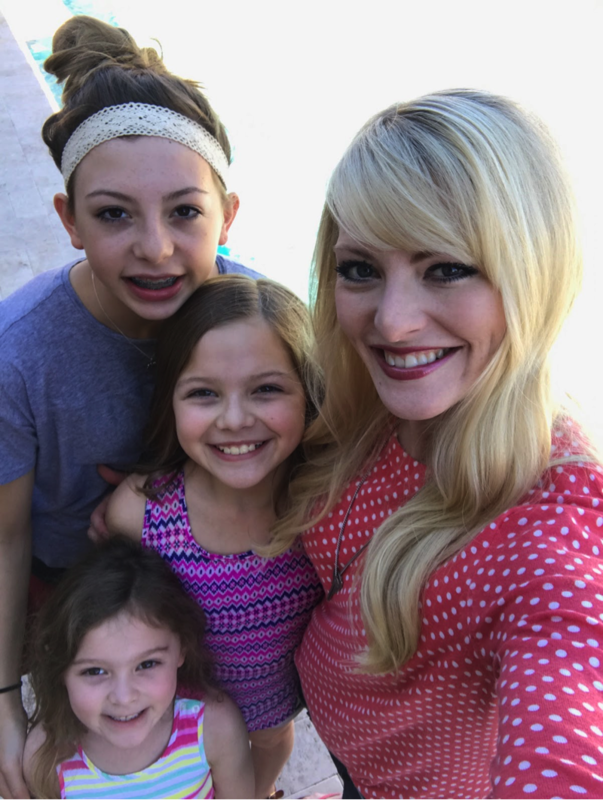 I learned so many godly principles and practical ways in which to raise my girlies with hearts for God. 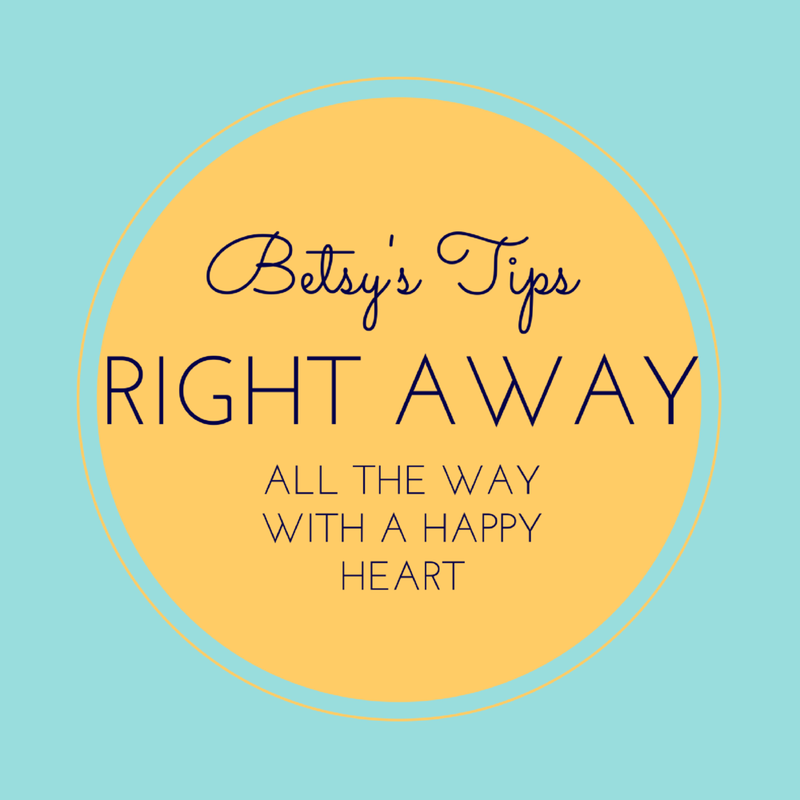 There are many tips from Betsy’s class that have stuck with me but I’d like to share a couple that have been especially helpful for me as a mom—and for our children. One tip that I still implement from her class 10 years later, is the catchphrase, “right away, all the way, with a happy heart.” As a mom with two small girls at the time, that saying felt like a lifeline. I even made the saying into a specific singsong melody so that it would stick, and it did! You could quiz my older two (who thankfully I don’t need to say it to as often lately) and they would remember the tune. Of course our aim is for our children to obey us, but to what lengths do we go for that obedience to take action? After we’ve asked them 5 times and then by the 5th time when we're yelling to get their attention? Do they finally obey us but with a sour face or a cranky attitude? “Right away, all the way, with a happy heart” emphasizes a complete obedience. It lets them know that they need to obey us as parents right away (not in a minute or two), all the way (not just partially), and with a happy heart (meaning their attitude has to be good). The other tip closely related to obedience is the importance of not exasperating our children. I’m not quite sure why this advice has stuck with me after all these years, except that the Lord knew I would need to be reminded of this truth often. I think as a young mom I had high expectations for my kids’ obedience, meaning I expected them to know what I wanted even before training them in the way they should go. So, naturally when they couldn’t magically read my mind and intentions and things went sideways, I didn’t always handle myself as a patient momma. My frustration would confuse and ultimately exasperate them. The Lord has impressed upon my heart the importance of a gentle and quiet spirit when dealing with my children and how much this pleases Him. I’ll be honest, gentle is not my first go-to. I am so grateful that God continues to sanctify me, which means I can still be the woman He created—but I can also have a gentle and quiet spirit weaved through my personality. Read 1 Peter 3:4 again. Did you catch the part where it says, “the imperishable beauty”? That is a beauty my friends, that never fades, a beauty that radiates from within and is unending. So, the reality is...we as mamas CAN have a gentle and quiet spirit and not exasperate our children; we need only seek His help. The Lord continues to shape me, teach me and convict my heart through the challenges of parenting and I am so glad that He does. I don’t know about you, but I don’t want to stay the same; I want to grow in His mercy and grace each and every day. I am so thankful for the practical application of biblical principles that Betsy shares in the Entrusted class. I know that the life lessons God has given her in parenting—which I have treasured in my heart—will continue to bless our family for generations to come. Posted on March 22, 2017 by Amy Zurowski and filed under Building Your Family and tagged betsy's tips kids. This post is me eating crow. After my daughter’s 7th birthday, my husband suggested that she should record video messages and send them via text, in lieu of writing traditional thank you cards. I totally scoffed at him. What would Emily Post say? It seemed at the time like an egregious affront to traditional etiquette. Besides, aren’t we losing the tangible enough already? I feel a responsibility to keep certain polite customs of our culture alive for future generations, and good old-fashioned thank you cards is one of them. Not shockingly, my daughter loved her dad’s idea and ran with it immediately. I felt like they were taking the lazy way out, but I could not have been more pleasantly surprised by the outcome of their experiment. Even though it proved much easier than writing cards (especially for a 7 year old), the sentiment and expression was no less heartfelt. In fact, the results were downright heart-melting. My daughter took my phone to a quiet spot, and--totally on her own--recorded a message of thanks to each person who had sent a gift. She held the gift as she talked about why she loved it, said thank you, and told the giver how much she loved them. It was ADORABLE. It was totally from the heart, and she was so much more able to express herself than she would have been using the limited writing skills of a first grader. I couldn’t wait to send them out. I had been totally wrong about the “video thank you.” This was technology at its best. This was technology fostering a deeper connection between two humans. That might sound melodramatic, but in a world where all of our family is out of town and they never get to be there in person for the gift opening, this was a treasure. 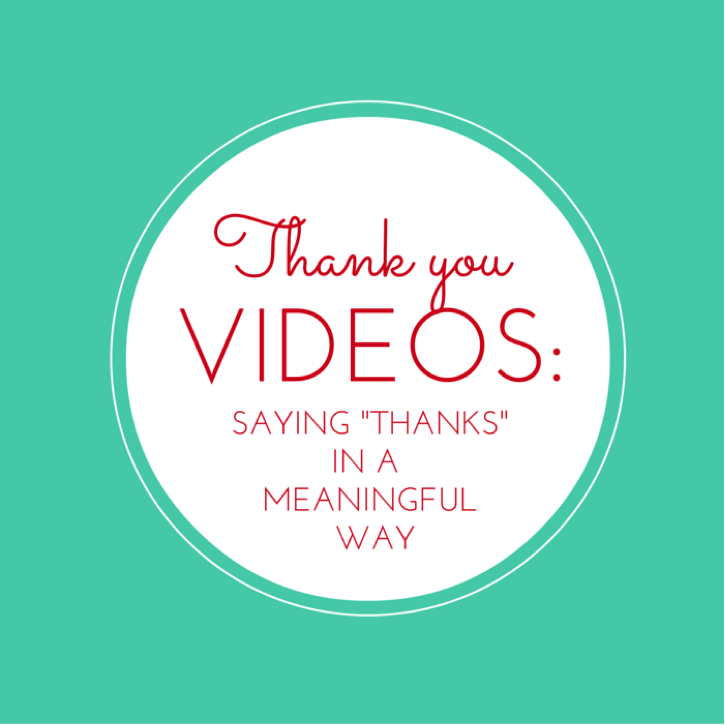 He was so right, that I’m actually writing this blog post to recommend the “video thank you card” to other moms! They’re adorable, heartfelt, instantly gratifying, easily stored (no more bins full of thank you cards you can’t bring yourself to throw away), and you didn’t have to go through the pain of making your kid sit at a table and write for an hour. What do you think—would you give these a try? Posted on January 13, 2016 by Laura Irion and filed under Building Your Family and tagged kids. One thing I love to do is teach my children how all of creation is shouting the glory of the Lord. Every time I pause to take a closer look at something he has made, my sense of awe at his creativity and goodness is renewed. This past month as part of our homeschool curriculum, I ordered a cup of caterpillars that we could watch turn into butterflies. Not everyone is cut out to have a science experiment like this on their kitchen counter (and I assure you I made my husband in charge of all the “icky” parts like chrysalis transfer), but if you think you can handle it, I’d highly recommend this simple way to watch God’s creation unfold through new eyes. 1. God’s creation is spectacularly detailed. As you watch the caterpillars grow and examine their intricate workings, you can talk about how much thought and detail and love God pours into even the smallest of creatures. They move and grow and live because of his perfect design. When they are grown, you will be able to note all manner of minutia — like the fact that they’re born with a split tongue that fuses together, or they prefer blueberries to strawberries —that are just delightful. You can almost sense how proud God would be of these beautiful little creatures and how much they must make him smile. 2. Christ is making us into new creations. When the caterpillars changed into butterflies, we talked about, and memorized, the verse 2 Corinthians 5:17 which says, “Therefore, if anyone is in Christ, he is a new creation.” We were one kind of creature before we put our faith in Jesus, and then an entirely new creation afterwards. How cool is it that he packaged that lesson in tiny butterflies? 3. Jesus has conquered the grave. One of my friends who used to teach in a classroom was telling me that the worst part of this experiment was 20 kids crying at once if a butterfly should pass on. Unfortunately, we faced that sad reality in the course of our experiment too. But it led to important conversations about who God is and what he has promised about things to come. Although I was careful not to promise that butterflies will enjoy the same resurrection we will, (even though I hope they do!) we were able to talk about the fact that Jesus died once for all so that death no longer has power over us if we place our faith in him. My kids and I talked about how God never intended for death to be a part of the world, and how sin corrupted everything. We talked about the new heaven and the new earth, where there will be no more death. It was definitely mature subject matter that I wish I could have spared them from having to know about (forever!) but sadly, death is a reality of life. I’m glad at least that this was a gentle way to help them understand that. And I’m grateful for the hope we have in Jesus to know it will not always be so. At the end of our time with our butterflies, my daughter created a book about their lives, including the end and the hope we have of heaven. It was a precious time learning more about the character of our unfathomable God. I’m sure this article has just convinced you that hatching butterflies is not a good idea, haha! But if anything, the next time you and your child see one in the garden (or there may be a zoo exhibit or nature museum nearby), you can point out how many ways these tiny creatures reflect the glory of their Creator. It will nurture their faith and yours. Posted on April 29, 2015 by Laura Irion and filed under Building Your Family and tagged kids.